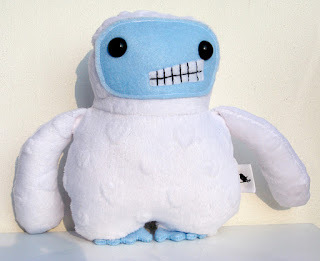 CURIOUS LITTLE BIRD: My first sale at Perfide! My first sale at Perfide! I'm so excited! I called Perfide to do a follow up, see if she's sold any of my creations, and she did! Pete was the first lucky recipient to go to a good home! It looks positive with Perfide. I'll be giving her more plush dolls in a few weeks for Christmas. Yay! On a side note, I have two things to mention. First, I finished ALL the furry monsters I'm going to bring to Tah-Dah!. I'm so glad that's done. 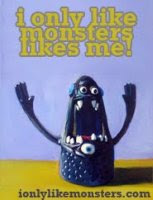 What I'm not happy about is I still have 18 fur monsters to stuff and sew, and that doesn't make me happy. Another side note, I will be selling my plush at a local craft fair in Montreal in 2 weeks! 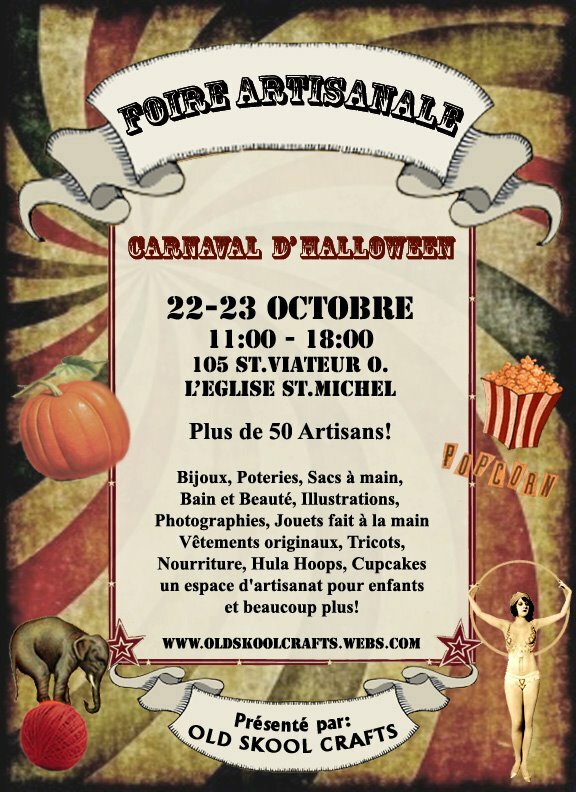 Old Skool Crafts - Carnaval D'Halloween Artisan Fair October 22nd - 23rd! If you're in Montreal, I hope to see you there. We'll be at St-Michael's church at 105 St Viateur, corner of St-Urbain.